come with a lufthansa airbus 380 airplane. 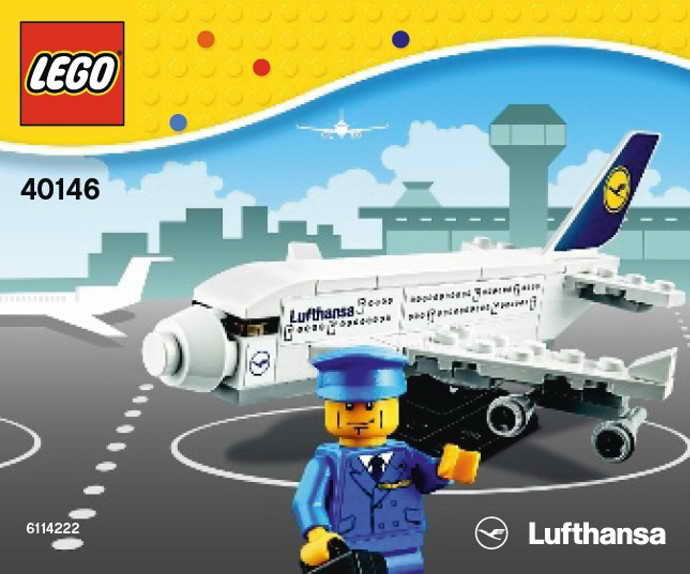 the airplane is brick built. 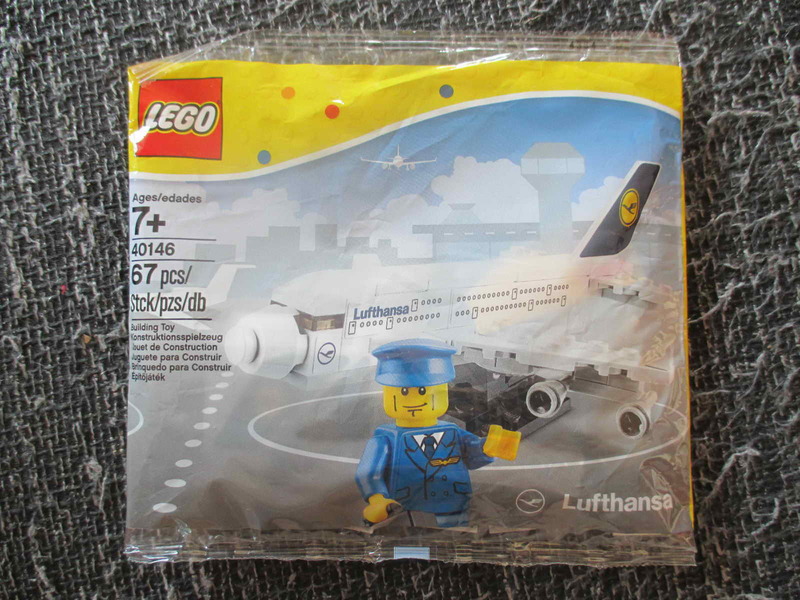 minifigs included a pilot minifig. 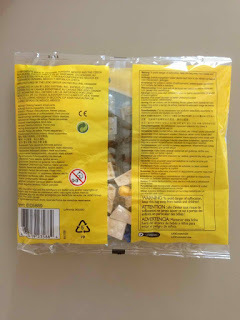 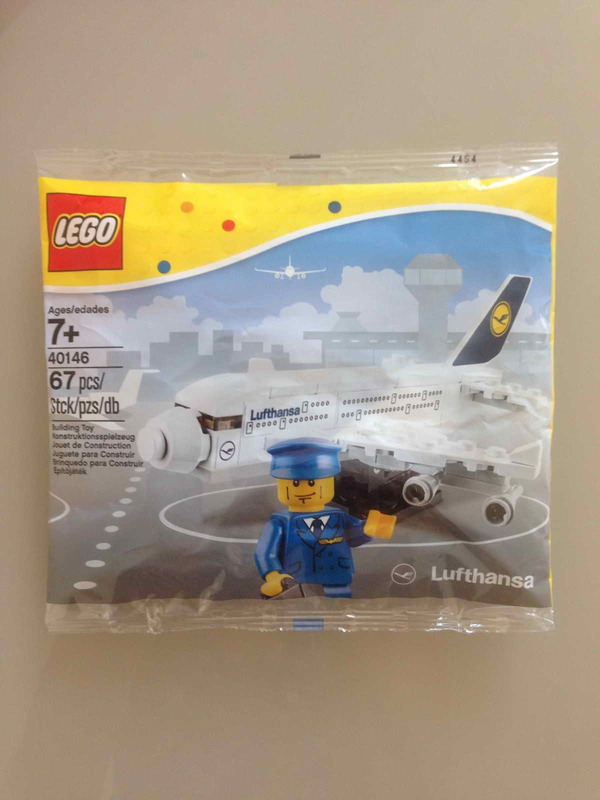 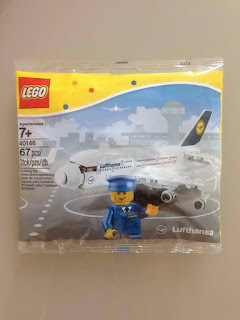 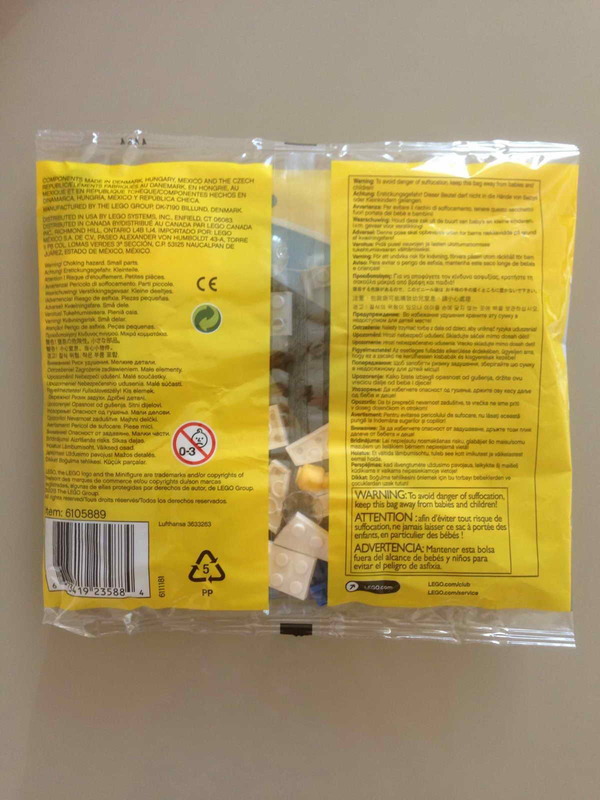 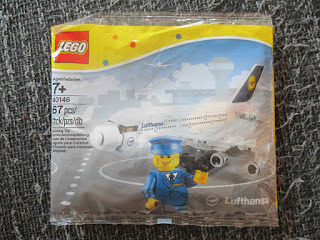 only available on lufthansa flight. 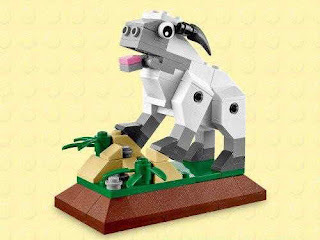 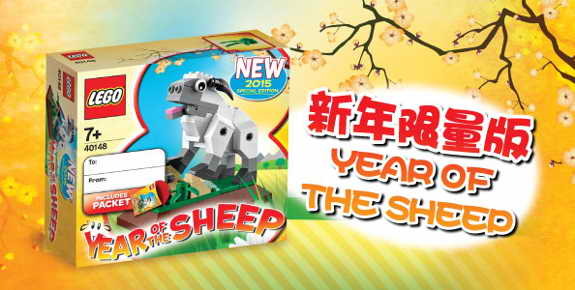 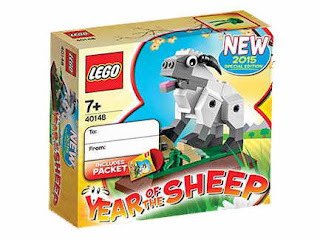 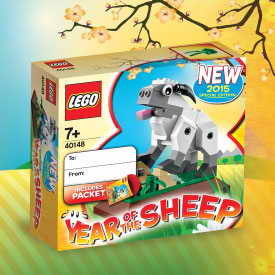 the sheep is brick built.